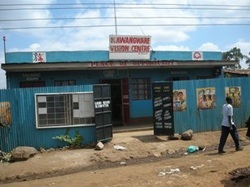 Kawangware Street Children and Youth Project was a local enterprise, already operational but in a very limited scope. The activities to date had been based on a simple assumption that the street children, addicted to various drugs as well as involved in petty crime, could be rehabilitated through work. An ecological small paper workshop was therefore created, giving young people simple manual tasks and involving them in a sort of cooperative and, the most valuable, giving them a feeling of membership in something long-lasting. The place was generating income enabling a few dozen young people, children and single mothers to provide for basic life needs such as an everyday meal. A modest profit was also allotted for further activity of the paper workshop. The goal of the project was to expand the existing enterprise in order to make changes real and long-lasting. The paper workshop which was located in a narrow slum street was renovated so that now it can take in more charges. The renovation provided hygienic working conditions also during the rainy season which was a serious obstacle because of the leaking roof as well as uneven and swampy ground on which the paper mill was previously located. Additionally, in a specially adapted space computer room, classroom, small internet cafe and a careers consultancy point was created. All these helped the charges of the paper mill develop their potential. The mill and the centre for professional activation, called Kawangware Vision Centre, became a shelter and the place of integration and opportunity for many people, which obtain access to professional trainings and various forms of education. Project location: Kawangware slum, Nairobi, Kenya.